Join us throughout the summer! As of October 20th the Interpretive Center will be open by appointment only. Please contact us at least 24 hours in advance to make arrangements at 208.756.1188. We apologize for any inconvenience this may cause. Park admission is $5/person or $12/family. We hope to see you on the trail! What’s Happening at the Sacajawea Center? 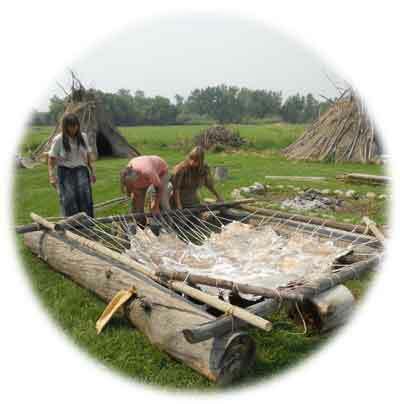 Outdoor School programs for 2019 include making dream catchers, arrowheads, and primitive pottery. Follow this link for details, registration forms, and scholarship applications. Call us with any questions – (208)756-1188. Are you looking for a fun and rewarding way to make a difference? 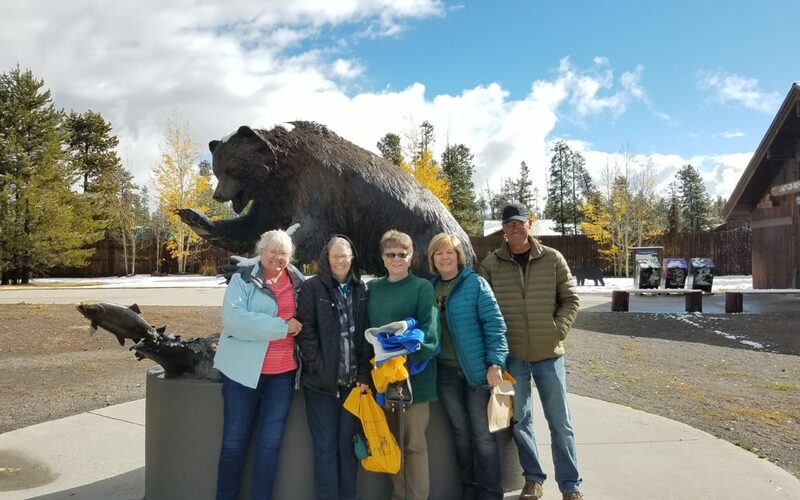 The Sacajawea Center is seeking volunteers for several positions for the 2019 summer season. Are you looking for an unforgettable experience? Sign up now for the 1805 Experience and save! 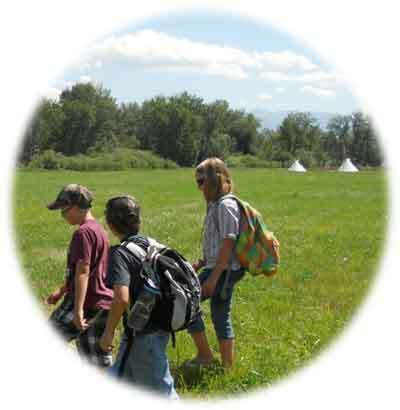 Each year the Outdoor School hosts an multi-day primitive experience. Immerse yourself in the world Lewis and Clark experienced as they traveled west. Are you looking for an expedition experience? Check out the local outfitters listed below! 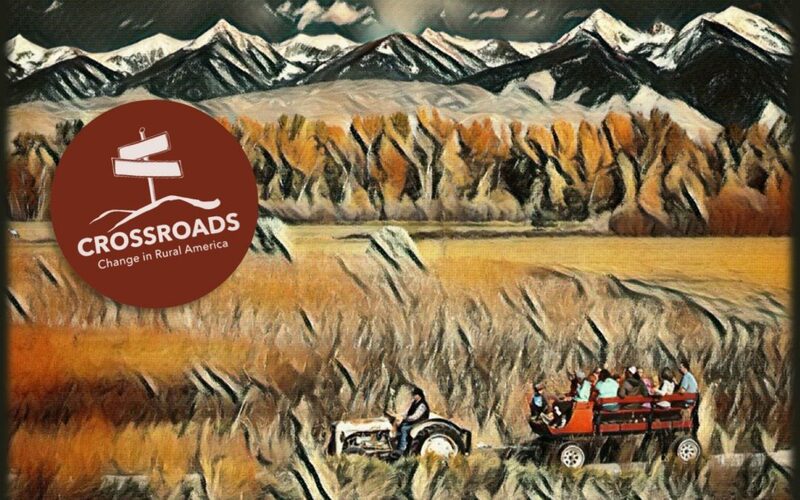 Contact one of the following outfitters to raft or ride a portion of the Lewis and Clark National Historic Trail in Lemhi County! Some trips offer an interpretive guide, too! 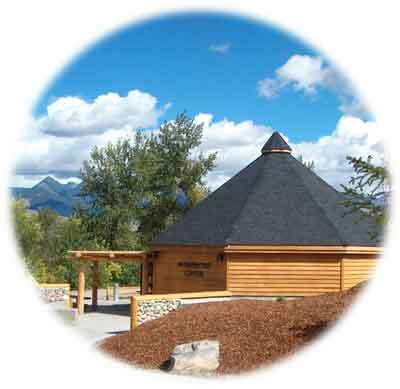 We invite you to visit the Sacajawea Center, a popular choice for Idaho vacations! The Center is a happening place. Join us for Sacajawea Center special events including indoor and outdoor concerts, annual historical events, dutch oven cookouts, festivals, kids summer camps, and family historical programs throughout the summer and early fall months. Visitors can also enjoy the Community Gardens and scenic walking trails throughout the beautiful 71-acre park. Even your dog can enjoy its time at the Sacajawea Center in the Seaman’s Dog Park, where you can’t miss the bronze statue of Seaman, Captain Meriwether Lewis’ Newfoundland. You’ll want to stop in the Interpretive Center to view exhibits and artifacts that focus on Sacajawea. The Sacajawea Center Research Library located in the Learning Center is open by appointment for you to view Expedition journals and titles, Native American topics, field guides, and children’s books.